UNICEF reports suggest that India accounts for 47% of child brides across the world. Eleven states in India continue to record high incidences of marriage of girls before they are legally of age. While early marriage is perceived as largely a rural phenomenon, research shows that it is also prevalent in urban and peri-urban areas of India. According to the Union Health Ministry’s Family Welfare Statistics 2011, for every woman aged below 18 getting married in urban centres, three women are doing so in rural areas. The problem is deeply entrenched in tradition, girls being perceived as burden, unwillingness of the family to invest in her future and education, lack of infrastructure to keep girls in schools- all these factors contribute to the low value of girls in society. Breakthrough and Vodafone Foundation’s #Selfies4School Campaign connected working women and men and professionals across India’s metropolises – Bangaluru, Mumbai and Delhi to start conversations and foster dialogue around early marriage by resolving to keep adolescent girls in school longer, delaying their age of marriage. With an ask of uploading a selfie on the campaign page, Breakthrough aimed to involve the younger generation of urban India and also hoped to foster dialogue with them regarding the issue of early marriage and schooling of adolescent girls. When more people feel directly connected to the cause of preventing early marriage of girls, higher the probability that they will use their power to influence peer group conversations. 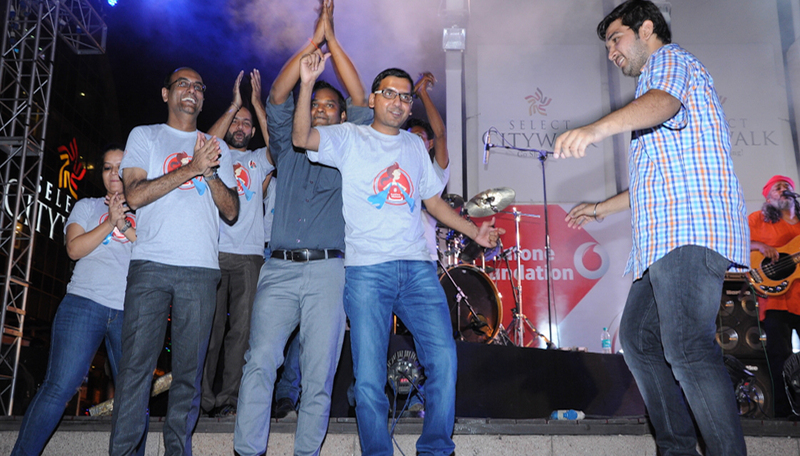 For this campaign, Vodafone Foundation committed to support the education of 25,000 girls for a year. Educate Girls, an NGO working on education of girls in rural Rajasthan was identified as the charity partner. This support meant that an extra year of education delayed the marriage of the girls between the ages of 12-15 by a year at least. The commitment was to keep 10 girls in school for every selfie submitted. The campaign, which started on 5 September 2014, had online and on-ground activations to encourage people from around the world to submit their selfies to the campaign page. Breakthrough used digital media, radio and press activation apart from on ground activation to spread the word about the campaign and to encourage people to submit their selfies and invite their friends to do the same. The campaign was a huge success and was able to reach more than 19 million people over the course of five weeks. The originally targeted 2500 selfies were achieved in just the first 10 days of activation and final count of selfies exceeded 7000 and Vodafone Foundation agreed to keep 58,000 girls in school. 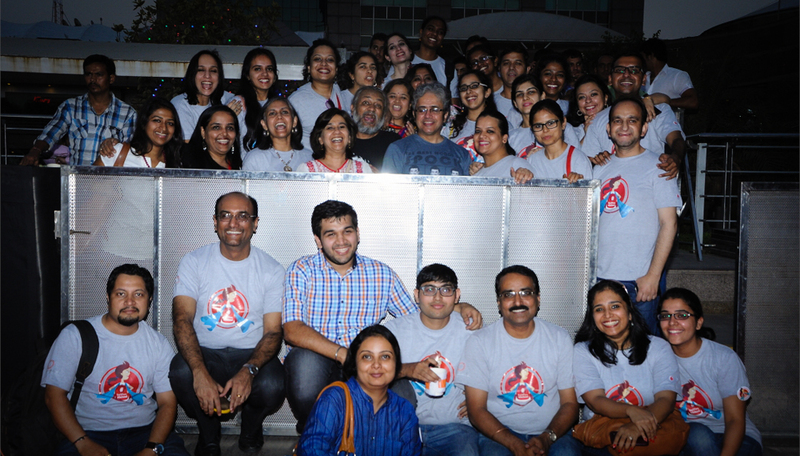 The campaign concluded on 9 October 2014 with a live performance by Delhi-based rock band Indian Ocean at Select City Walk, Saket. At the end of this campaign your selfies have sent 58,000 girls to school. We received 6,458 selfies from on-ground activation and 2,50,000 was the approximate footfall on-ground during the campaign.